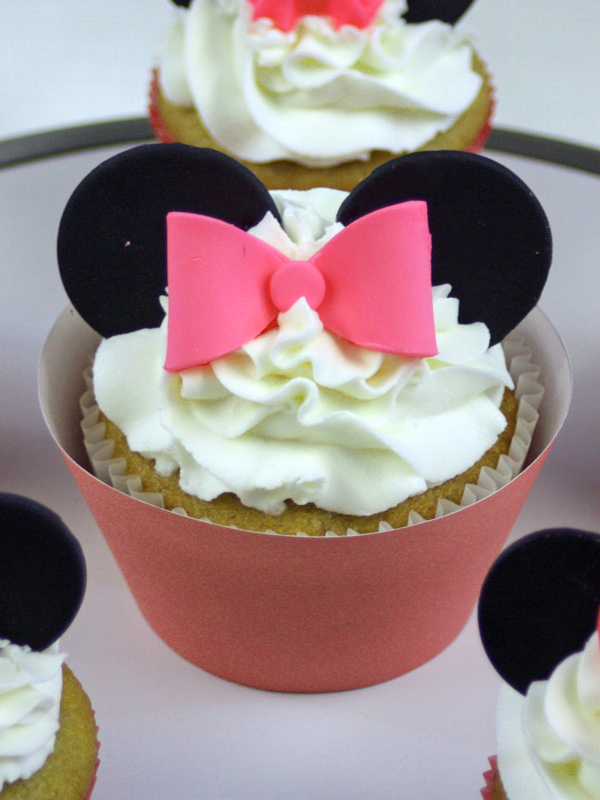 I made these adorable Minnie Mouse cupcakes for a first birthday party. 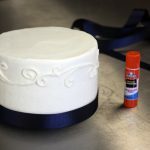 They were really easy to make so I’ve included the steps below along with printable templates you can use if you don’t have the right size cutters. First roll out your black fondant/modeling chocolate (MC) onto a clean work surface that has been dusted with powdered sugar to keep it from sticking. 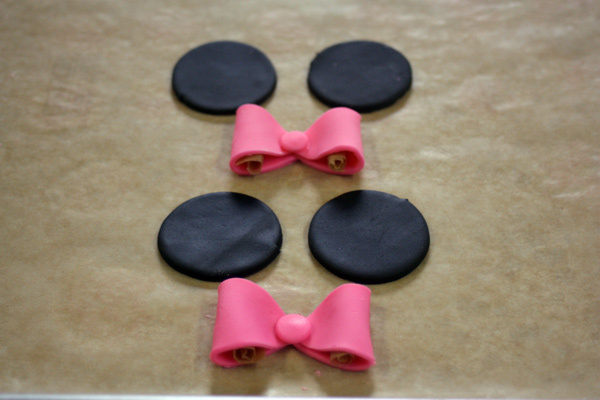 Roll out the fondant/MC to about 1/8 of an inch and cut out two circles for each cupcake you need to decorate. 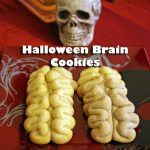 Gently place them on a cookie sheet lined with wax paper and set aside to dry. These are the ears. 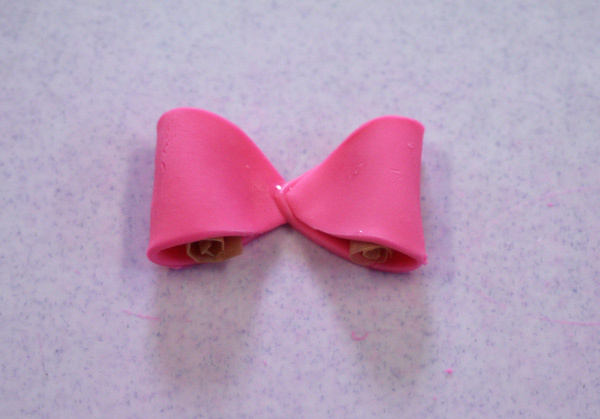 Once all your “ears” done you can make the bows. 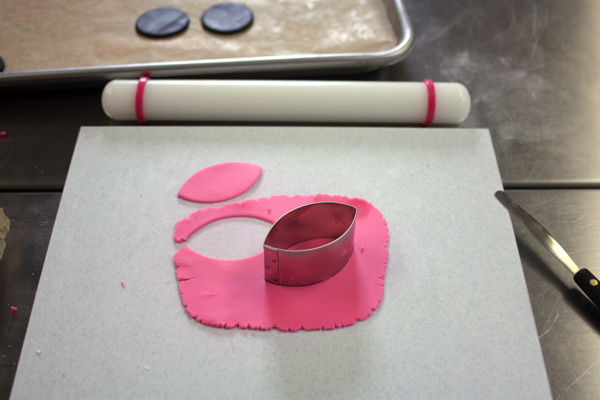 Roll out pink fondant/MC to 1/16 inch thick on a surface that has been dusted with powdered sugar. Cut out two football shapes for each bow. Fold each football shape over so that the points are touching. Use a little water to stick the ends together. You may also want to roll up a small piece of wax paper to slide into the bow loop to keep it from collapsing on itself until it dries. Attach the two bow loops together at the points with a little water. 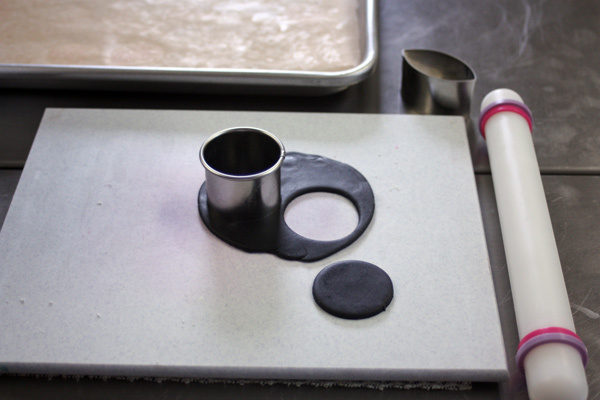 Finally roll out the pink fondant/MC one more time to 1/8 inch thick. 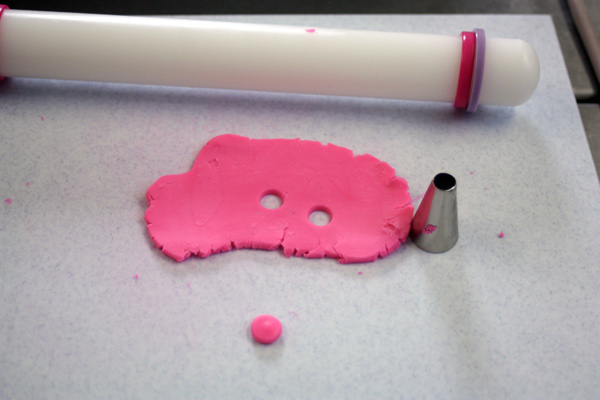 Cut out small circles using the narrow end of a #12 pastry tip. You can press the circle slightly between your finger and thumb to flatten, then attach to the center of the bow with a little water. Set aside the bows and ears to dry at least overnight, but let them sit for multiple days is better. 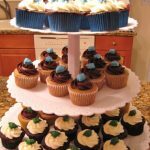 Wait until the last possible minute to put the on the cupcakes so the moisture doesn’t make the fondant start to droop. 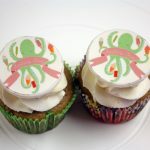 You can put these toppers on either regular sized cupcakes or large size. 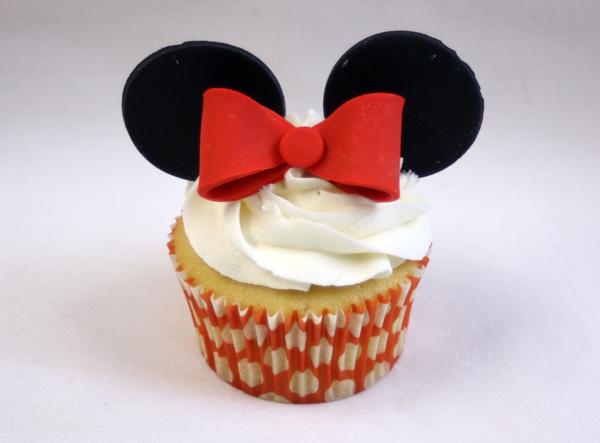 Here is an example of the toppers made with a red bow and baked in a red polka dot cupcake paper. 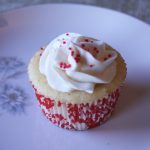 Since this was for a first birthday I made regular sized cupcakes with pink cupcake papers, but then I made one extra large cupcake to be for the birthday girl. Since I couldn’t find any pink cupcake papers for the large muffin tin I used this template printed at 110% to make my own cupcake wrap. 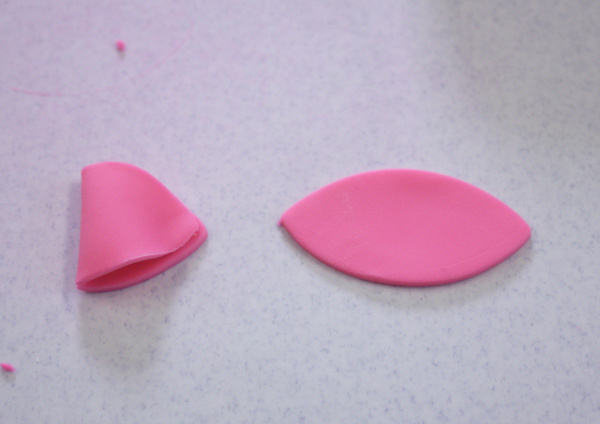 Just cut out some pink paper using the template and secure it around your cupcake using a non-toxic glue stick to keep it together. 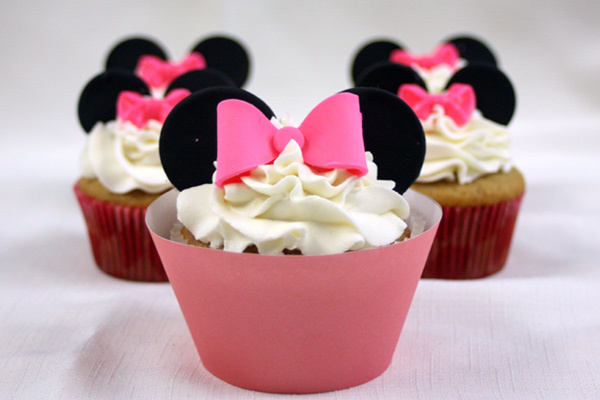 Just be sure to leave the cupcake wrapper on so that the cupcake doesn’t touch the pink paper.